Side A1: Theseus grasps the bull-headed Minotaur by the head as he prepares to slay it with a sword. The beast brandishes a pair of rocks. 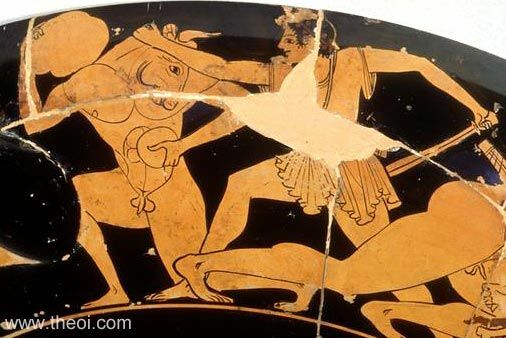 Side A2: Heracles wrestling the Nemean Lion (see other image). Theseus battling Procrustes (not shown).